To surrender a pet at the shelter, contact us at ANIMALSERVICES@BURLINGTONNC.GOV or 336-578-1386 to schedule an appointment. We understand sometimes circumstances are such that cause people to no longer be able to care for a pet. We know that having to surrender a pet is a very difficult decision. We are here to assist you. In order to provide better customer service and to ensure the best possible outcome for your pet, we are scheduling appointments for owners to surrender their pets. This allows us to make sure we have adequate resources and kennel space to intake and process your pet, and we will be able to devote individual time to you and your pet so there is no rushing through the process and no long waits. We want what is best for both you and your pet, and we are ready to help you in any way we can. A 2015 study done by the ASPCA showed that up to 40% of pet owners surrendering their pets to shelters did not want to do so, they just needed temporary help. We are prepared to discuss your needs and help you find solutions. If it is determined that the you still need to surrender your pet, we will assist you with scheduling the appointment to do so. Pets being surrendered by their owners will not be accepted without an appointment. Please contact us at animalservices@burlingtonnc.gov or 336-578-1386 to for assistance with your pet and to schedule an appointment to bring your pet to the shelter. Prior to your appointment, staff will assist you in preparing for the surrender appointment by filling out required paperwork in advance. Staff can also provide you with information and resources that can assist you with keeping your pet or re-homing it yourself. Having an appointment for the surrender of you pet will help you avoid busy intake times at the shelter, and a potentially long wait during a difficult time. Even though the number of animals saved has increased substantially over the last several years at Burlington Animal Services, we still want to encourage pet owners to find alternatives to surrendering their pets. Often their are missed opportunities to help owners find solutions. So please make sure you research a solution or call us for help before surrendering your pet. Q: I don't want to surrender my pet, but I don't have a choice. Is there help available for the problem I am having with my pet? A: Yes! We want to help you keep your pet if possible. 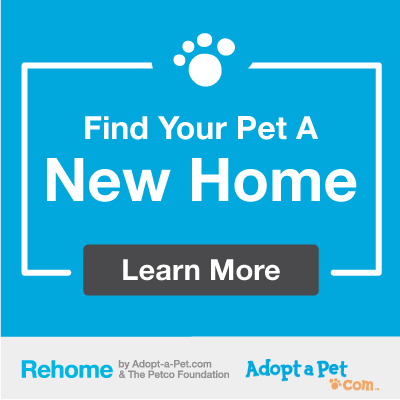 Keeping pets in their homes is always preferable to the pet being in the shelter. Our trained staff can talk with you about your individual circumstances and connect you with available resources, or offer solutions that can make it possible for your to keep your pet in many situations. You can also check our Pet Help Resources pages for resources and information about solutions to some common issues with pets. Q: Why do I need to make an appointment to surrender my pet? Can't I just drop my pet off anytime you're open? A: Scheduling an appointment will help better ensure space is available at the shelter for surrendered pets as well as provide an opportunity for pet owners to prepare for the surrender appointment by filling out required paperwork in advance. Animal services staff can also provide pet owners with information and resources that can assist those interested in keeping their pet or re-homing it themselves. The appointments will help citizens surrendering a pet avoid busy intake times at the shelter and a potentially long wait during a difficult time. Q: What if I found a stray or lost pet? A: Individuals that have found a stray or lost pet do not need an appointment to bring the pet to the shelter. However, they may choose to call ahead and schedule an appointment if they would like to avoid bottlenecks during times the shelter is the busiest with processing animal intakes. Q: Why is the shelter doing admission of pets by appointment? Pets are admitted in an orderly fashion that prevents overcrowding in the shelter and enhances customer service for citizens. Less overcrowding in the shelter results in fewer sick pets, reduced medical expenses and fewer pets euthanized due to illness. Admitting pets in accordance with the shelter’s capacity for care reduces the chances of adoptable pets being euthanized for space, a practice that is not acceptable for managing the population of pets in the shelter. Arranging appointments for owners to surrender their pets provides better service to citizens by allowing trained shelter staff to speak with owners in advance of surrender and attempt to work with them to resolve any owner or pet-related problems and, as a result, keep some owners and their pets together.